Small flat pads on model are for token buildings representing current and future buildings. This is an interesting twist on printed surface landform models. 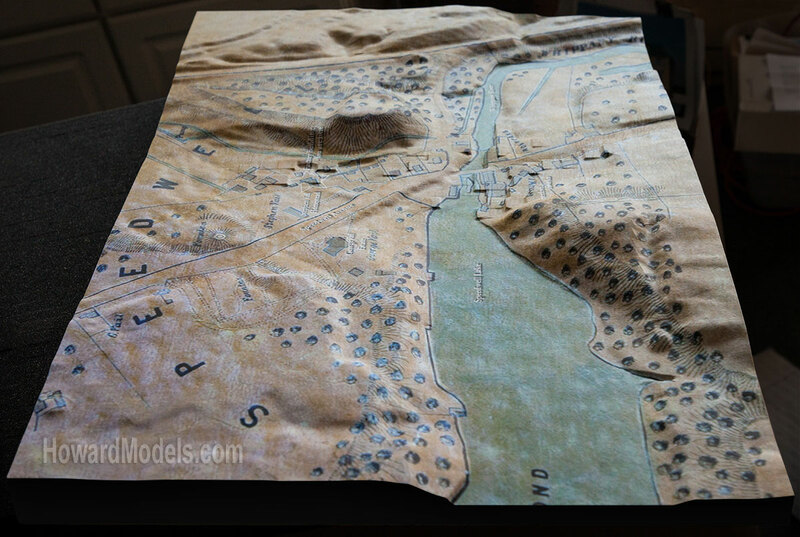 Scan an historic map and print it on the models surface. Certainly adds interest to a flat map. This image is a small part of a larger area. 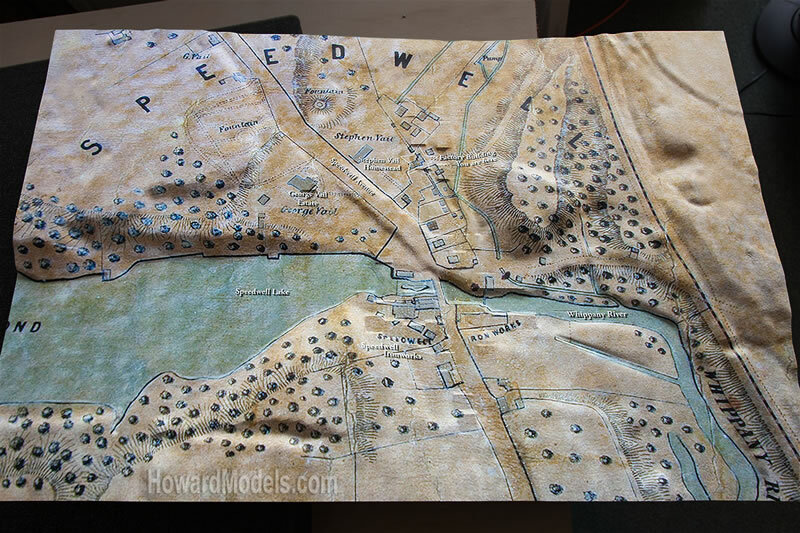 If you have an old map of interest, Let us print it on a landform model. Printed Landform models with foam bases usually ship in 2-3 weeks. With fiberglass substraight, 3-4 weeks.